TORONTO, ON – Two months after the arrival of Goose IPA, another brand from Chicago’s Goose Island Beer Co. is starting to appear on shelves at Canadian beer retailers. 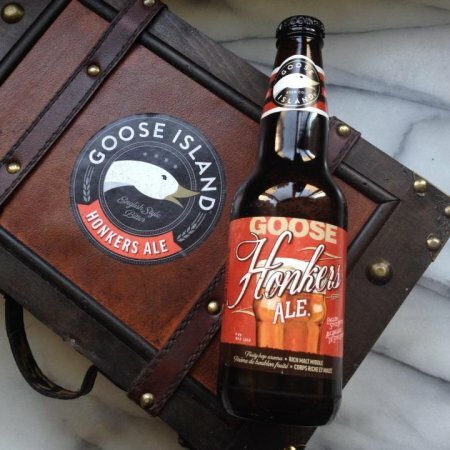 Honkers Ale is an English Style Bitter that has been available on draught at select licensees in Canada for some time, and is now showing up in bottles for retail sales. Canadian brewing and distribution of Honkers Ale is being handled by Labatt Breweries, a sibling company of Goose Island under the AB InBev corporate umbrella. Goose Island Honkers Ale will be distributed in all provinces except PEI and Newfoundland, with format availability – 6, 12 & 24 packs of bottles, and draught – varying between regions. For more details, contact local your beer or liquor retailers.